But thanks to the hard work of some amazing people and organizations, some seriously encouraging strides have been made. To date, over 1,000 people have been freed from slavery in the Florida tomato fields over the past 15 years. And the tomato farmers themselves helped develop the Fair Food program, which establishes a zero tolerance policy for slavery, child labor and abuse — that (hooray!) most fast-food companies and some grocery stores (such as Whole Foods and Trader Joe’s) have endorsed. So exciting! I know that this can seem like an issue that’s far removed from us, wherever we may be, but the reality is that we are part of the story whenever we buy offseason tomatoes. So when I think of these farmers like some of the good farmers I know at my local market, and imagine the thought of them moving from such frightening working conditions to a safe, supported environment where they could be compensated for a job well done — it suddenly becomes real. And the strides that have been made are a TOTAL reason to celebrate!!! So here is one more #TomatoLove recipe to celebrate — one of my all-time favorites. This will also be posted over with IJM’s “Recipe For Change” page, where I would so encourage you to check out and learn about how you could continue to be a part of this life-giving change for tomato farmers (by literally just giving a few minutes of your time!). Just by being a foodie, you can also help change the world a bit for better!! You really can make a difference locally, nationally and internationally — I love it. Cheers to more #TomatoLove!! 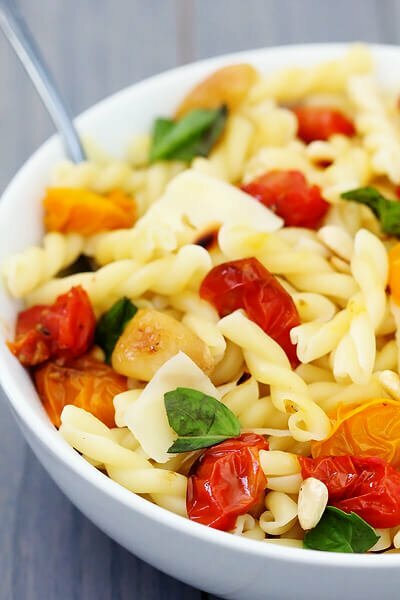 Simple ingredients combine to make an absolutely delicious slow-roasted tomato pasta! 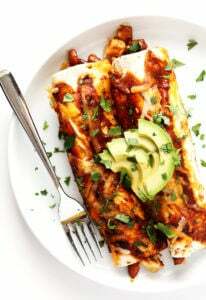 Preheat oven to 250 degrees F. Line a baking sheet with parchment or aluminum foil. 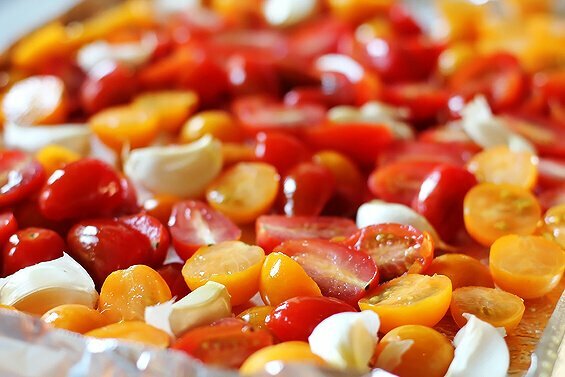 Spread the halved tomatoes and (unpeeled) garlic cloves in a single layer on the baking sheet. Lightly drizzle with olive oil, then season with generous pinches of salt and freshly-cracked black pepper. Bake for 2 1/2 to 3 hours, or until the tomatoes have shriveled but are still slightly juicy. Remove and set aside. About 30 minutes before removing the tomatoes from the oven, fill a large pot with generously-salted water and bring it to a boil. Add a tablespoon of salt to the water, then add the pasta and cook it al dente according to package instructions. 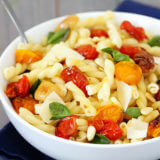 Drain the cooked pasta, then toss with the slow-roasted tomatoes and fresh basil. Serve immediately, garnished with freshly-grated Parmesan and toasted pine nuts. Feel free to add in any extra veggies during the slow-roasting process, such as onions, zucchini, squash, mushrooms, red peppers, etc. It might be a bit of a heavy subject but I think it’s one that we all need to be aware of and need to talk about and I think you and Cassie are doing such a great job. This pasta is so me, all of my favourite ingredients in one dish! 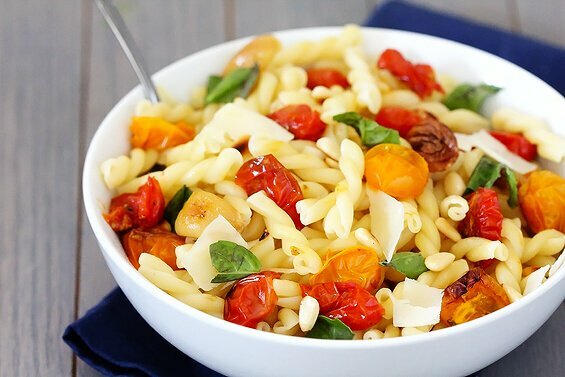 this pasta looks so light and fresh – just what i want in the summer. I really love that you and Cassie are bringing so much awareness to the atrocities in the tomato industry. It’s really hard to believe what goes on in the world. I wish more people with backyards would just grow their own. It’s so easy! On a happier note, this looks like such a wonderful summer pasta dish and a great way to use those tomatoes. The color in this pasta is BEAUTIFUL!! I love that you and Cassie are doing this! I can’t wait to get back from traveling so I can get my tomato on! This pasta is just perfect! I always prefer pasta just like this. 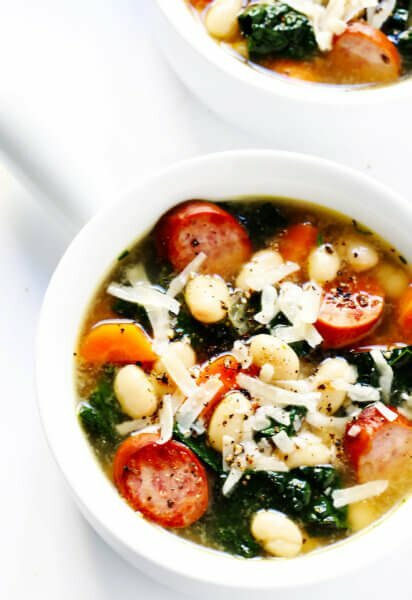 Light and with just a few ingredients! I adore this, so so much. Love what you wrote too, so glad we are doing this!! This pasta looks amazing! great job on brining awareness about the tomato industry! I love this! Campanelle pasta is so cute! Slow-roasted tomatoes are the best! Love this pasta dish. Thanks for raising awareness about the tomato industry – I’m thankful that I’m able to grow some of my own plants and buy local tomatoes from the farmers market, etc. 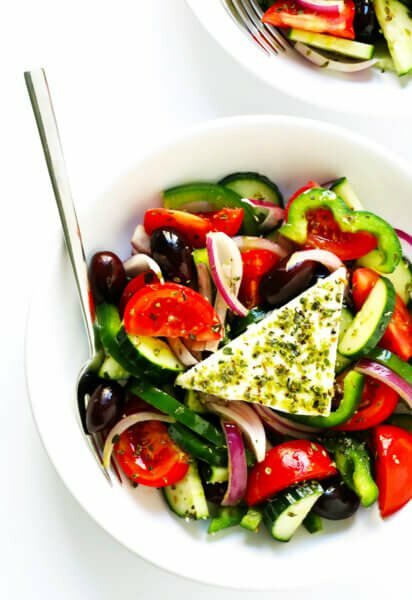 This is such an awesome summer salad! Yum! Great post! It’s so amazing that you’re bringing in all this awareness. And what a vibrant looking pasta dish! I love everything about it! It is a heavy topic but it’s great that you and Cassie are doing this. How many people actually knew that there’s modern-day slavery in Florida? I love how colorful your pasta is. And the tomato picture is also great! Love the colors. Another wonderful tomato recipe! Slow roasting must make a fabulous addition to this pasta…mmmmmm. What a beautiful pasta dish! Love your combination of red and yellow tomatoes. So perfect for this time of year! Thaaaaat right there is SO my kind of dish. UGH. Want. It is a heavy subject, but it’s a subject that needs to be talked about. I love that your advocating for change via your blog. And your recipe looks delicious- I just might try it tonight:-).